Clearly, in order to be excellent leaders, it is vitally important to take care of our own financial houses. In the second installation of the series, we learned the importance of savings and how to get started. We saw how small changes made a big difference and could contribute to our overall confidence and presence. For reference, “How Saving and Investing Your Money Strengthens Your Confidence and Leadership Presence” is available here. Once we’d implemented a consistent savings plan, we were ready to invest. We felt more confident, as we learned that the most important decision regarding our investment was the strategic asset allocation—how much we have invested in stocks, bonds and cash. We learned to start there rather than focusing on trendy stock tips that pop up everywhere. You can review this information in, “Asset Allocation: Savvy Investors Know this is the Crucial Investment Decision,” which is available in Part 3. When it was time to invest, we learned that it is crucial not to put all your eggs in one basket, but to diversify broadly. Diversification will help our portfolio remain strong despite news related to one stock or industry. We learned to diversify in stocks as well as bonds. You can check back on this important key in Part 4. It turns out that most individual investors post a very poor track record, relative to the benchmarks in the market in general. Between 1989 and 2009, the stock market returned 8.2% on an annualized basis. Yet, the individual investor only earned 3.17% during this time. That is shortfall of 5% per year! Maybe those bond investors did better; let’s review their results. Over the same period (1989 – 2009), bonds earned 7.01% annualized. However, the average bond investor only earned 1.02%.1Goldie, Daniel C., & Murray Gordon S. (2011). Figure 1-1 Average Investors vs. Markets (p.12). The Investment Answer. New York: Business Plus, Hacchette Book Group. The shortfall was even greater! Sadly, the individual investor is having difficulty even keeping up with inflation. It seems that individual investors tend to lack consistent results and do not maintain the discipline to stick with their investment plan. This ability to stay the course will make a big difference in your long-term wealth. We have been learning about the decisions that can help us be savvy investors, so that we can have better, more consistent returns. What generally happens when people experience either a market rise or decline? Simply, we tend to buy stocks and bonds after their prices have risen. We similarly tend to sell near market lows. This is explained through psychology and comfort levels, but causes investors to capture very little return. Not only are you trading your portfolio at exactly the wrong time, you are also paying commissions for the privilege of doing so. This pattern of trading tends to have you buying at high prices and during peaks in the market. Similarly, you sell assets at the dips or at their lows. This contributes to a shortfall in your long-term wealth. If you stay the course, you avoid these peaks and valleys. It takes discipline. But, a pattern of staying invested yields higher returns and more assets for you at retirement! Clearly, there are many pressures that contribute to this. You hear many more news reports about the financial markets and this reporting may cause you to consider trading more than you might otherwise be inclined to do. Also, a number of advertisements directly target consumers suggesting they buy a hot or trending security. You want to avoid reacting emotionally to these messages. And certainly you want to avoid making investment decisions based solely on the advertisement. You want to stay committed to your well-thought out investment strategy that we’ve covered in the previous blog posts. When the markets move up or down, you are tempted to change your investments. This is costly (commissions) and you are often trading at the wrong time. Instead you want to stay the course. When you started with your investment plan, you determined an appropriate asset allocation. It is appropriate to re-confirm that this is the correct asset allocation for you. It should only change if your life has changed in some way (new job, new child, marriage, retirement). Also if you are just uncomfortable with the levels of risk that you are taking as a result of the asset allocation that you set, it may be time to revisit this step and set a new, more appropriate allocation. This is a one time or occasional event, not a knee-jerk reaction to market levels! You are investing for the long term. There will be hiccups along the way. But, the real measure is what you are able to build from year-to-year. You want to be able to retire with the greatest value possible! The investment return path may not be only up, but, over time, it will be generally up if you develop a long-term view. And, by creating a diversified portfolio, you will find that you may have a bit of cushion in the tough times. The U.S. stock market may be down, but international stocks may rise or bonds may perform well. It is the overall portfolio that determines your wealth. We all like to “fix things”. However, it is very difficult and close to impossible to successfully and consistently time the market. There are very few professionals who do this well and fewer that do so consistently over time. So, when you attempt to fix things by trading, you are paying your broker, but not necessarily helping to accumulate long-term wealth. You usually take your portfolio away from the position that will help you in the long-term and in the market turnaround. We don’t know when market ups and downs are coming, so it is best to stay the course. Whatever you do, continue to save! Even when the markets dip down, be sure to continue your program of consistent investing. Your investment dollars actually buy more when the market is low. 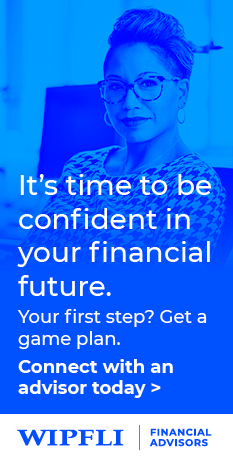 Now that you have some tools at hand, you may feel like you want to have somebody with experience help you manage the financial decisions that you face. Watch for our next entry: Effective leaders know when and how to delegate: Finding a financial advisor.